Every year the Altenheim EXPO offers an exciting mix of cutting-edge topics, new concepts, groundbreaking projects, pointed discussions and – last but not least – the right setting for successful networking. Care home managers, decision-makers and nursing staff came together at this leading trade fair for the care industry. A perfect platform for discovering and discussing about the latest products and services for outpatient and inpatient care. 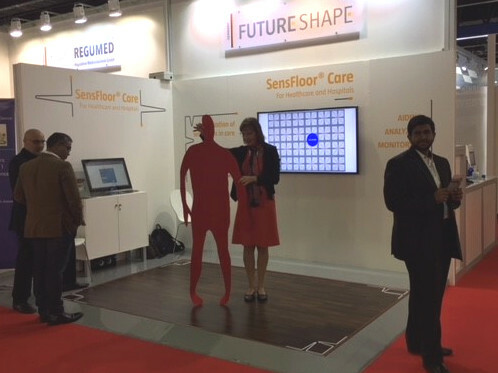 Future-Shape demonstrated the benefits and applications of SensFloor Care to its visitors. This is one of the UK’s most important trade fairs for healthcare. At this event, the visitors were able to meet the key decision-makers of this fast-growing sector. According to expert forecasts, the number of people over 85 years of age will double over the next 25 to 30 years. Care providers must be able to adapt to future changes, while complying with regulations and providing the highest level of care possible. Only in the morning shortly before the fair starts our booth seemed as empty as on the photo… Half an hour later there was no more time for taking pictures. Until the end of the fair our stand was well visited and we had exciting conversations with interested visitors. 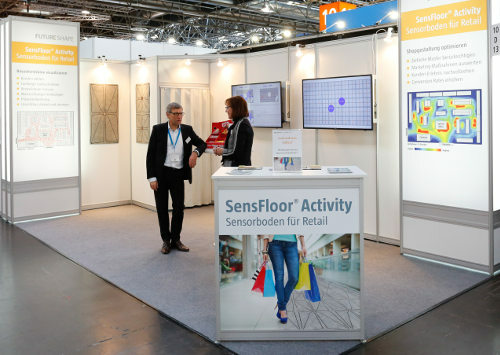 Retailers from all over the world came together in Düsseldorf and enthusiastically tested our SensFloor. We have already booked the stand for next year again! The Arab Health is the largest and most important trade fair for health and medicine in the MENA region. More than 4,200 exhibitors and 103,000 participants from over 150 countries were at the Arab Health 2019. Future-Shape met an enthusiastic public in Dubai. We are looking forward to visiting the Arab Health again in 2020. The BAU event has been an absolute industry highlight since 1964. Trade visitors from all over the world could experience closely the future of building. 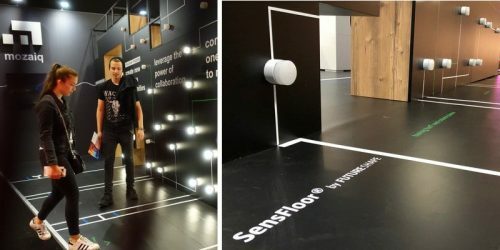 In the field of innovation, our SensFloor impressed the specialist audience with its numerous application possibilities. 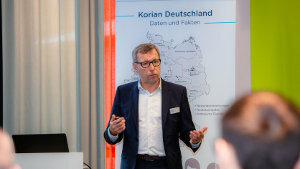 At the beginning of December, three innovative companies met with practical experts at Korian’s first Innovation Café. The aim of the event was to integrate digital innovations faster and more successfully into everyday care. From our point of view, this was a successful event at which Erwin Burth presented our SensFloor Care solution. 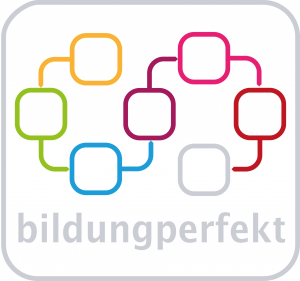 bildungperfekt – the competent educational partnership with seminars for geriatric care and hospitals including practical experience on site. More than 500 IT decision-makers met in Düsseldorf at the beginning of November to discuss the future of retail and technical innovations and could benefit from many cutting-edge contributions. On 6th November, our Managing Director, Christl Lauterbach, gave an exciting, very well attended lecture on the subject of sensor flooring in the retail sector. More than 150 speakers presented a number of solutions for the future as well as current challenges in hospitals and rehabilitation clinics. A particular attention was given to the issue of staff shortages. On this occasion, Future-Shape displayed the innovative SensFloor system and its solutions and many applications. At the AAL Congress and accompanying exhibition held for the third time in a row at the Karlsruhe Exhibition Centre, the numerous trade visitors had an ideal platform to get information about the latest research results and the field of applications of AAL products. Christl Lauterbach, CEO of Future-Shape, gave an innovative lecture on the use and financing possibilities of new AAL products in a constantly growing market segment. The key players of the healthcare industry met at Austria’s largest hospital congress to discuss innovative approaches in the field of care. Future-Shape participated as sponsor and exhibitor in the Care Forum. Erwin Burth, CMO of Future-Shape, gave an interesting lecture on the use and benefits of assistance systems in the care sector of tomorrow. Demographic change and digitalization are powerful trends that are leading to profound changes in the working environment. Future-Shape was also represented at this year’s Demography Congress for the health and social sectors in Berlin. Our team presented the diverse applications of SensFloor in the care sector. This fair was a clear success for Future-Shape and we could make very promising contacts. This year again, Future-Shape was represented with a booth at the EAHSA & EDE Congress in Prague. The topic of the congress was the radical change of long-term care in Europe and the related future challenges to come. Erwin Burth, CMO of Future-Shape, gave an informative lecture about the company history as well as the functionality and use of the SensFloor. Our SensFloor inspired many visitors to creative ideas. The sensor floor was integrated into the mozaiq software “Use Case Designer” as an application example. With the software as a prototyping tool, new ideas can be configured quickly and efficiently. And in combination with the SensFloor, this is a lot of fun! Multimedia & Artificial Intelligence (AI) are changing the world around us and bring new prospects and functions – from smart factories to drones, sports, healthcare and driverless cars. During this event, we gave a lecture on intelligent flooring. Altenheim EXPO offered an exciting mixture of cutting-edge topics, new concepts, groundbreaking projects, pointed discussions and – last but not least – the right framework for successful networking. Future-Shape participated as an exhibitor in this event. The ANDA (Austrian Nurse Directors Association) care symposium took place for the second time already. This year’s main theme was Care Management 4.0: Big Data – Robotic – Digitalisation – Fiction and Reality! Of course SensFloor could not be missing in these exciting topics on the future of care. The symposium was organised by the Association of Nursing Directors of Austria. The motto of this year’s Capital Congress was “Digitalisation and Connected Health”. Future-Shape was exhibiting at the joint Bavarian health booth. Our team had many interesting and constructive discussions. The OTWorld in Leipzig is the world’s largest and most important sector meeting-points for all players involved in treatments and care using modern orthopaedic aids. It is a pioneering and inspiring show of innovation with more than 500 exhibitors and over 21,000 visitors. 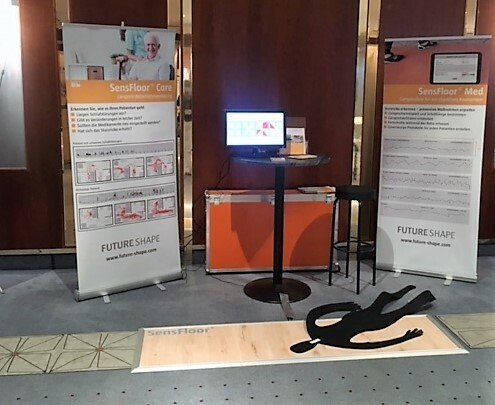 Future-Shape was there and presented the SensFloor Gait, our solution for gait recording! More information about the trade fair. Zorg & ICT in Utrecht is the trade fair for IT solutions and services in the Dutch healthcare sector. More than 170 exhibitors presented their innovations in care. 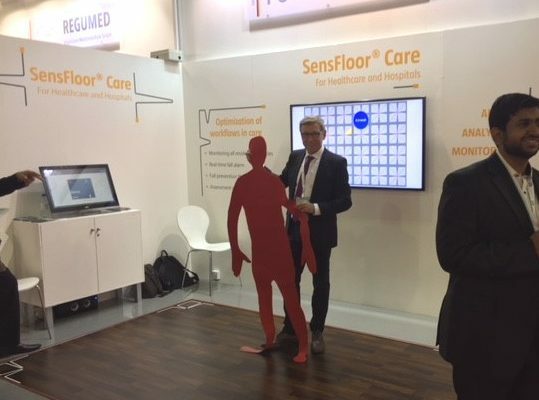 We were also participating as an exhibitor with our partner Hertek (Stand: 01.E122) to present SensFloor® Care. 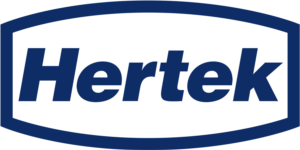 You can find impressions of the Hertek booth on facebook or LinkedIn. Our Managing Director Christl Lauterbach was one of the three finalists for the VICTRESS Vital Award 2018. The VICTRESS Awards are presented each year to women in management positions who, as impressive role models, prove that success, leadership and femininity are compatible. 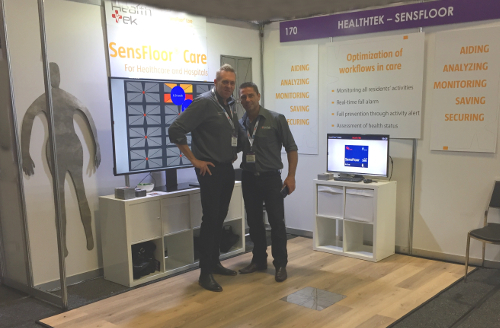 In collaboration with our partner Healthtek, we introduced our SensFloor system for the first time in Australia at the Australian Healthcare Week. With more than 42000 visitors and 1300 exhibitors, the HIMSS Annual Conference & Exhibition is the leading health information and technology conference. Once again, this event in Las Vegas brought together IT professionals, clinicians, executives and vendors from around the world. They were able to exchange on current IT trends in the healthcare field. Thanks for your visit at our booth (level 1, booth 12125)! Directors of retirement homes, decision-makers and caregivers met at the ALTENPFLEGE, leading trade fair for the nursing sector. It was a perfect platform to discover the latest products and services for in-patient care and discuss with experts and colleagues about the future of geriatric care. 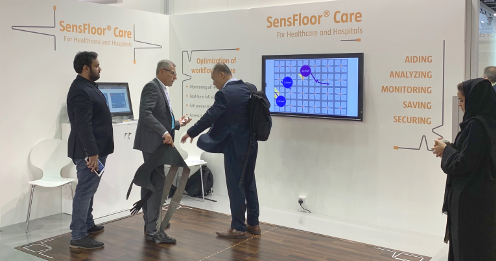 The visitors were also able to experience the SensFloor Care live at our booth. EuroCIS is a very exciting trade fair with lots of innovations and highlights for the retail sector. 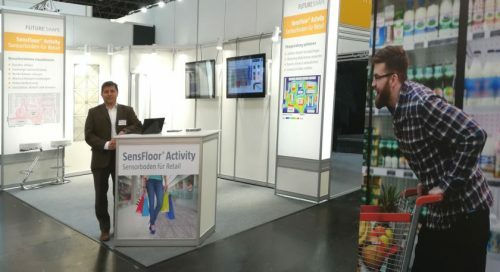 We were glad to present for the first time the SensFloor Activity, our new solution for retail, to a large number of visitors. The SMARTER LIVES practical forum dealt with the social challenges posed by demographic change to our health and social services. The visitors were able to enjoy many interesting practice and expert contributions as well as an exhibition space. The Arab Health, largest trade fair for medical technology and healthcare in the MENA region, took place in Dubai at the end of January 2018. Future-Shape was exhibiting with its Partner 7 Dwarfs at booth Z3.A39. 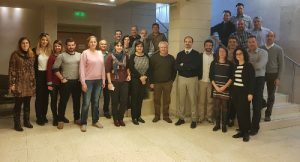 At the end of November, all UNCAP project staff met in Thessaloniki to prepare for the review meeting in February. Dr. Axel Steinhage from Future-Shape was on site. This year, the federal Congress reflected about the many new legal regulations that could improve the situation of care for elderly people and care professionals. The evolution of caregiver remuneration and solutions for shortage of staff in the branch was also an important topic. Future-Shape has been nominated for the DEKRA Award! Together with experts of the magazine WirtschaftsWoche, the DEKRA organisation grants this award in the field “Security at home”, among other themes. The award does not focus on products but on Best Practices. With this nomination, Future-Shape ranges among companies which have developed excellent concepts, initiatives or processes. This prize was awarded in Düsseldorf, Böhmer Areal, on 24th October. Over 1.000 visitors participated in the FoKoS-Woche “Zukunft menschlich gestalten” (“Shaping a humane future”) at the University of Siegen. For a week, the visitors were able to test the trends of the future on site. 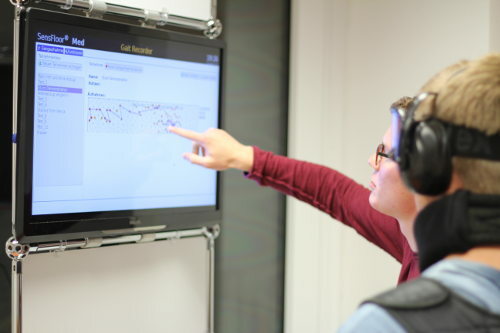 One of the show highlights was the “Intelligent living-room” where, among other things, the SensFloor displayed the residents’ activity, reported falls and recorded gait patterns. With the help of an age simulation suit and the gait recording tool, the visitors had the possibility to test and observe directly how the gait pattern changes through the ageing process. The result was quite impressive for all participants and proved how helpful it can be to use an intelligent flooring by persons at risk of falling. On the occasion of the largest European conference on long-term care, Future-Shape introduced the SensFloor system to the Polish market. The fair was well attended, the lectures were top-class and varied. The interest in our intelligent floor was correspondingly high, as it supports the nursing staff in their daily routine and doctors in diagnosis and treatment. All presentations of the conference can be viewed here. 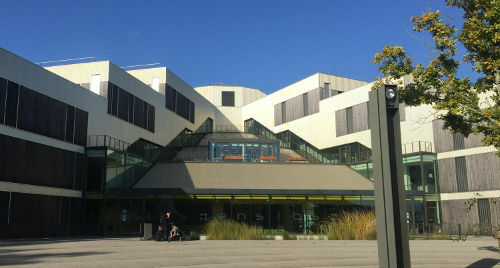 Future-Shape has recently set up the SensFloor system in the living lab of the Université Bretagne Sud in Lorient (France). 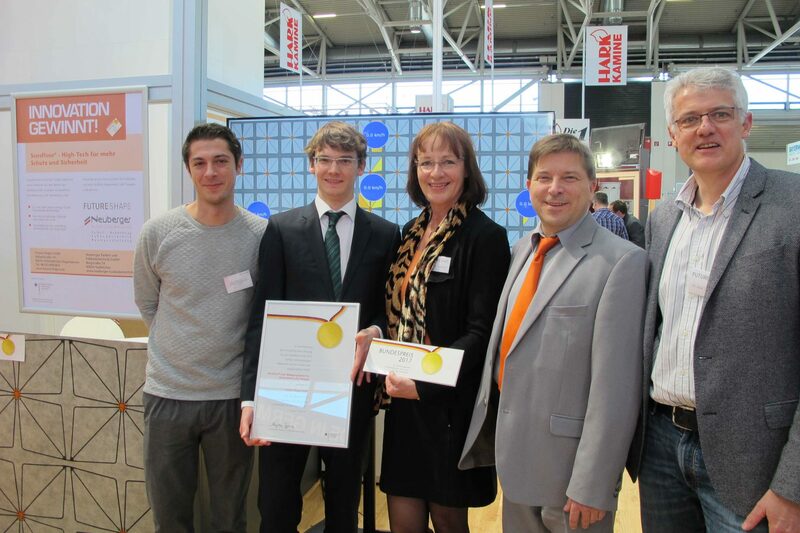 Student research projects will be carried out with the assistance of the SensFloor. From 20th to 22sd September, the key players of health economy were meeting at the biggest Austrian hospital congress. Future-Shape successfully participated as a sponsor and exhibitor in this event. The DEMOGRAFIEKONGRESS held on 31st August and 1st September gathered more than 800 decision-makers and 100 referents at the leading congress around adapation to demographic change. 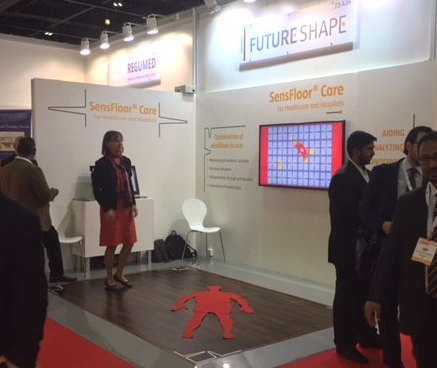 Future-Shape was exhibitor in this events and presented the many possible uses of the SensFloor system in care. Kerstin Schreyer, leader of the Bavarian State Chancellery, paid a visit to Future-Shape GmbH in Höhenkirchen-Siegertsbrunn to learn more about the company. With a significant enhancement of the SensFloor® System, the SensFloor® Gait application for the activity monitoring, Future-Shape has won for the second time the federal prize for outstanding innovative achievements, awarded each year by the Federal Ministry of Economics and Energy. The Future-Shape team had the honour of receiving the innovation award during a festive ceremony taking place at the IHM, International Handcraft trade fair in Munich. The SensFloor® System is a textile-based underlay with integrated proximity sensors, developed by Future-Shape GmbH. Whenever a person walks across the floor, signals are transmitted to a transceiver, which detects the direction and speed of the movements and recognises a person lying on the floor after a fall. The main applications for this system are the workflow optimisation, fall detection and prevention in hospitals, care and retirement homes. 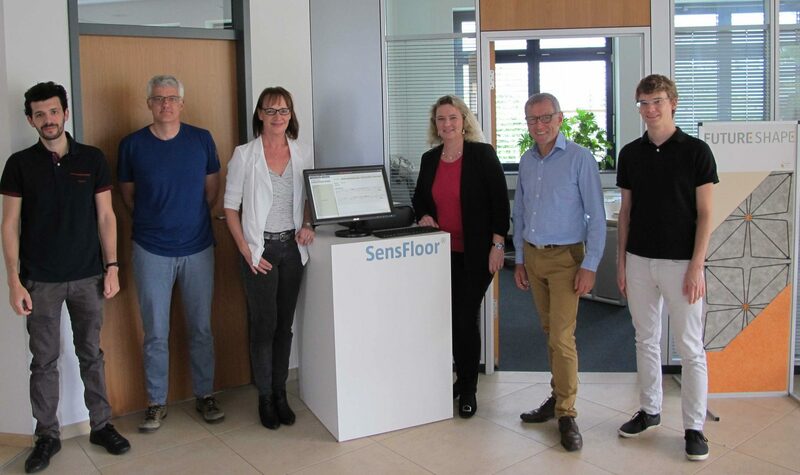 Now SensFloor® Gait can do even more: through a sophisticated data analysis it is now possible to realise high-resolution activity monitoring as well as gait recording. With these functions, the sensitive floor is becoming an important tool for medical staff. “Doctors or therapists can detect changes in their patients and thus quantify the efficiency of the treatments and rehabilitation measures”, explains Raoul Hoffmann, who is finalising his doctorate on this topic at Future-Shape. For Future-Shape, the federal award for innovation reaffirms the strive to pursue the development of solutions for digitalisation, the business segment of the future.